This version of Qt WebEngine is based on Chromium version 53.0.2785.148, with additional security fixes from newer versions. 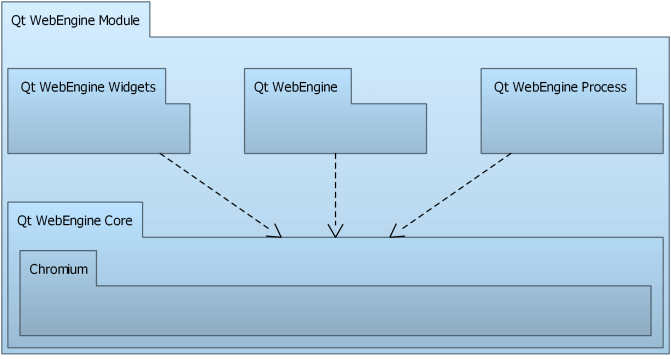 Qt WebEngine uses the proxy settings from Qt Network. If QNetworkProxy::applicationProxy is set, it will also be used for Qt WebEngine, and if QNetworkProxyFactory::usesSystemConfiguration() is enabled, the proxy settings are automatically retrieved from the system. Settings from an installed QNetworkProxyFactory will be ignored though.